Welcome to the new Postcard-Dealers.com website. The site aims to gather and supply information on all aspects of postcard collecting to as wide an audience as possible. One of our goals is to promote the collection and study of postcards and the advancement of postcard collecting as a hobby. Whether you are looking for postcard dealers, postcard suppliers or postcard printing services, or maybe just trying to find out about an old postcard, then welcome! We are an independant website and are new collectors approaching the hobby without any bias. Our website will feature regularly updated information about deltiology. Dealers Lists : Our dealers section, is being developed geographically initially by country (later by state, county, region or metropolitan area) and may include companies or individuals who deal in postcards. We will be developing the pages to include dealers in modern postcards, postcard collectors accessories, postcard auctions, and ebay and other online auction postcard sellers as well as the largest section by proportion, dealers in old and antique postcards. Postcard Fairs Listing : Will include events organised by clubs or autonomous bodies, listed and linked to further information about the organiser and their own websites. Club events will also be included soon. Hobby Information : Beginners guide from various authors are included in the information section, which we hope to expand upon in the near future. Wanted Section : Where anyone can post a Wanted Ad for an individual postcard or theme. News and Announcements Page : As we receive information we will add pages to the Postcard-Dealer website keeping you in touch with what’s happening within deltiology. Postcard Clubs : Will be listed geographically by Country – State, County, Region or Metropolitan area. We plan to improve this section over the coming months and will be contacting clubs for more information. If you’d like to add or alter your postcard collectors club entry please contact us. A postcard or post card is a rectangular piece thin cardboard or of thick paper intended for writing and mailing without an envelope and maybe at a lower postage rate than a letter. Stamp collectors distinguish between postcards, which require a stamp, and postal cards, which have the postage pre-printed on them. While a postcard is usually printed by a private company, individual or organization, a postal card is issued for sale by the relevant postal authority. Standard Size – Introduced in Britain in November 1899, measuring 140mm x 89mm. The United States Postal Service defines a postcard as: rectangular, at least 3-½ inches high x 5 inches long x .007 inch thick and no more than 4¼ inches high x 6 inches long x .016 inches thick; (in metric; 127mm x 89mm) however, some postcards have deviated from this; for example, novelty shaped postcards. Postcard collecting (deltiology) is one of the most popular collectible hobbies in the UK and internationally, surpassed in popularity only by coin collecting (numismatics) and stamp collecting (philately). There is some crossover when the postcard subject matter enters the realms of the other major hobbies or pastimes. Another aspect of the hobby is that a fan of another genre, say cats, tractors or bridges etc., may collect that subject matter on postcards. The old antique postcard evokes memories of the past and provides an interesting glimpse into the social history, cultural history and material culture of the time. Known also as a “penny post card” and a “picture post card,” vintage postcards have been collectibles since their 1890s Victorian-era inception. From Greek, deltion, a derivative of deltos, “writing tablet or letter”; and -logia is the study and collection of postcards. Compared to philately, the identification of a postcard’s place and time of production can often be an impossible task because postcards, unlike stamps, are produced in a decentralised, unregulated manner. For this reason, some collectors choose to limit their acquisitions to cards by specific artists and publishers etc. 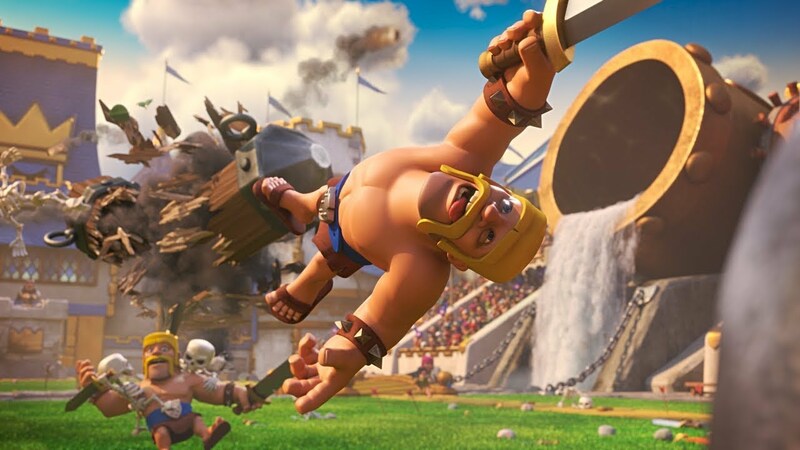 This guide is going to go over some useful Clash Royale tips and tricks. . Because it was released nearly 1 year 14, the sport has been popular. In fact, it won game of the year from Greatest and Apple Game by Google Play. Here are some Clash Royale tips and tricks, for people just getting started. Clash of Clans has been a favorite game for years, but it is starting to get overshadowed by Clash Royale. Featuring a number of the elixir, characters, gold, very same troops and other components, but at a strategy design game. It’s real opponents and card collecting you battle on the place, which can be fun. For people whoare currently trying hard to win and downloaded , we have some ideas which might help. Beginners can learn how to fight the Prince or Giant , play defense, take down enemy structures, and get a success. Read on for lots of strategy information and advice to get higher into improved Arenas. It’s that glistening that great, and incredibly fun. Get familiar with the layout and resources like stone , then construct a deck for conflict. We’d recommend having two or three great decks. Take our guidance below a balanced attack and to get a strategy as you go to war. With Clash Royale you and the enemy in real time fight with, and they fight back. Players will need to utilize offense and defense, strategy, and time to win. More troops and the bigger you utilize, the longer the wait for Elixir before deploying troops, to regenerate. Figure out a fantastic strategy, and stay with it. In the beginning your troops are likely outmatched, but keep playing and learn how to sew the enemy. Before we begin it is always a fantastic idea to observe the hottest changelogs (such as our link above) as the sport is constantly changing. The Giant isn’t as powerful as Golems do a lot of damage, and the Log is for clearing troops that are small, great. Always stay current on the latest upgrades. Substantial changes may be the difference between losing and winning in case you did not read about an upgrade. Not to mention using cards that are new . It was published, and in order to win its you that were vital almost should utilize it. Below are some clash royale hack gems to help beginners win more battles. Gold is the money in Clash Royale. It isn’t farmed by players like in Clash of Clans, and instead it is earned by winning battles. It is also possible to make gold out of free chests or clan chests. The more battles you win, the more chests you can unlock. Three hours are taken by some to unlock, some take 12 hours, and even eight. Before heading to bed those are started by me. It’s a long wait, but worthwhile. The Crown Chest gives out the most gold. When you have enough, invest gold to upgrade it to a unit that is powerful. It’s important to upgrade troops as you progress, but don’t upgrade everything. Sparingly, and gold has to be spent wisely. Only upgrade exactly what you intend on using, and save as much as possible for the vital upgrades later. You do need a fantastic variety when changes come, but some troops early on just are not worth upgrading, and this will slow development. Update the cards that you use the most, to get a stronger and more capable army. Be careful to not over-level one card too much, as you never know if an upgrade will make it less helpful. Taking part in challenges or Tournaments is a great way to earn cards and gold to upgrade too. The Grand Challenge can make you hundreds of cards and a lot of gold. Instantly allowing. The main thing for beginners is currently setting your deck up. There are 3 different decks it’s possible to assemble and have on-hand, ready to fight . Every troop has a number of Elixir cost. Do not have all 2-3’s, and don’t have too many 5. Mix up your deck with high and low Elixir troops, as well as both ground and air. Offering you a wide variety of alternatives at any moment. If that which costs too much you’ll have moments where there are no cards available to play, and shed. A couple cheap cards such as the Fire Spirits are a counter that is fantastic. I utilize the Ice Age in each and every deck. Do not forget to have a minumum of one or two”splash damage” cards. Spells, or even Archers. Utilize it, if you get a Legendary. Adding a fantastic variety of high and low level troops, as well as mixed air and ground becomes increasingly more important as clash royale progresses too. Then turn that. It’s all about time, and approach. This is only one of the finest yet simplest strategy games I’ve played on a mobile device. Another idea is”bicycle decks”. All cards with a single kill card. Then cycle through everything fast to get a quick defense that turns to a crime as you drop a big card. Watch out for Poison or Fireball though. A huge group is a nice target for the enemy to make an Elixir advantage. There are Skeleton troops, and everything but the Giant Skeleton are very weak, die quick, and therefore are susceptible to arrow attacks. That said, Skeletons are a fantastic distraction to deploy just before dropping a bigger”tank” troop to do heavy damage. Skeleton Army is a great card on, and lately its even better the further you progress. They’re deadly when coupled with all the Hog, and therefore are a fantastic defense. Try pairing Skeletons with a Giant, and see it instantly down cruise and take out a Tower with just two moves. Skeletons are just as good on defense as they are on offense. Use them to stop a speed Price, or wipe out a Giant. Watch out for Zap and also have a strategy. Thinking is vital in Royale. On the flipside, I have arrows ready to follow Giant or my Prince to take out Minions or enemy skeletons. And remember, what works now could be poorer after an upgrade. Be ready to make adjustments often. This might appear silly, as losing a match does not really hurt players apart from the trophy count, but test any new deck before fighting in multiplayer. Trophies put you in stadium or league, gives out chests and gold. So you’ll want to win as much as possible. Do not lose trophies. Fight with clan-members or clinic . Once you feel confident and have fine-tuned the deck, then battle real opponents. Continue reading the rest of our tips to get a better chance at success, before you start. The trainers are not very smart either, so battle clan members too. I do challenges to practice new decks and strategies. Yes it costs jewels, than shedding decorations on the ladder but I’d rather find out in there. Early on I was always first to attack, and my troops were getting countered with the enemy, and putting me from the start. It’s also a fantastic idea to not attack initially to maintain the Elixir advantage. This can win battles. Players should await the Elixir pub to get full prior to attacking, and await the enemy to deploy to help select strategy and the best troop to begin if possible. This is referred to as a elixir trade. Dip a card kill a card. That puts you forward. It will build up to a push the enemy can’t stop and you’ll win. The exact same rule applies here, however a defense wins championships at the NFL, although this does work. Being able to have a solid defense permits players to fill up Elixir, and counter-attack. Turn a solid defense to a counter offensive attack that is powerful. Another idea is saving pick cards to the 1:00 minute markers surprise that the enemy to get a win. You given strategy or a kill card away if you attack . I save the spell for the final few pushes to catch the enemy off guard. Sometimes rushing an attack and starting heavy can conquer the enemy. And when this happens it feels great. However, good players will do exactly what we mentioned above and shield, then counter with a solid offense and take a tower out. Using too many forces simultaneously can put you behind. I know they have none left, so I push the other lane In the event a Giant and an Elixir collector drops. Be smart with everything you do. Take your time and be precise with each move. Do not only use whatever card is up. Think about it, take Elixir transactions that are positive and build up an advantage. I’ve learned to begin with one or two mild troops, seeing exactly what the enemy gets going large with a Giant, followed by a Musketeer or similar. My next move is going to be a powerful counter attack. Obviously everyone is going to have a different approach, strategy, and style. Rushing may work for many, but learn , similar to a baseball match out maneuver the enemy and beginners are going to want to take their time. Rush your attacks if you’d like, As soon as you’ve learned which cards counter many others finest, and be ready for a response from the enemy. Another way to do a rush attack is through the middle of this conflict. A surprise push on the other side may catch them off-guard, although I wouldn’t suggest attacking a different tower if a person has hurt. It’s a way to win. Try it. At the first stages of Clash Royale most players don’t have charms, but within a week or so of playing you’ll likely have the Freeze charm, and then in stadium 3-4 get the Rage spell. Everything wills as you expect, freeze. This is one of those cards I save to the finish and utilize with precision to get a last-minute surprise and success. The purple”Rage” spell raises rate, motion, and damage to mess your enemy. Dip a Giant or Skeleton Giant, wait a couple of seconds, and drop the Rage. He get to their foundation, and destroy it. Rage a Balloon and enjoy the results. Now that Rage is only 2 Elixir it isn’t nearly as risky as it was before. Pair that with a balloon and its game over if you are able to make it. This guide is going to go over some useful Clash Royale tips and tricks. Perfect for beginners looking to learn how to perform and start winning. Because it was released nearly 1 year 14, the sport has been popular. In fact, it won game of the year from Greatest and Apple Game by Google Play. Here are some Clash Royale tips and tricks, for people just getting started. Clash of Clans has been a favorite game for years, but it is starting to get overshadowed by Clash Royale. Featuring a number of the elixir, characters, gold, very same troops and other components, but at a strategy design game. It’s card collecting and opponents you battle on the place, which can be fun. For people whoare currently trying hard to win and downloaded , we have some ideas which might help. Beginners can learn how to fight the Prince or Giant, play good defense, take down enemy structures, and get a success. Read on for lots of strategy information and advice to get higher into improved Arenas. Screen Shot 2016-03-02 at 9.07.59 AMClash Royale could be more addicting than Clash of Clans, so use caution before downloading it. It’s that glistening that great, and incredibly fun. Get familiar with the layout and resources such as gold, then construct a deck for conflict. We’d recommend having two or three great decks. Take our guidance below a balanced attack and to get a strategy as you go to war. With Clash Royale you and the enemy in real time fight with, and they fight back. Players will need to utilize offense and defense, strategy, and time to win. More troops and the bigger you utilize, the longer the wait for Elixir before deploying more troops, to regenerate. Figure out a fantastic strategy, and stay with it. In the beginning your troops are likely outmatched, but keep playing and learn how to sew the enemy. Before we begin it is always a fantastic idea to observe the hottest changelogs (such as our link above) as the sport is constantly changing. The Giant isn’t as powerful as Golems do a lot of damage, and the Log is for clearing troops that are small, great. Always stay current on the latest upgrades. Substantial changes may be the difference between losing and winning in case you did not read about an upgrade. Not to mention using cards that are new . It was published, and its vital you almost should utilize it in order to win. Below are some strategies to help beginners win more battles. Once you have enough, invest gold to upgrade it to a unit that is powerful. It’s important to upgrade troops as you progress, but don’t upgrade everything. Sparingly, and gold has to be spent wisely. Upgrade exactly what you intend on using, and save for the vital upgrades later. You do need a fantastic variety when changes come, but some troops early on just are not worth upgrading, and this will slow development. Update the cards that you use the most, to get a stronger and more capable army. Be careful to not over-level one card as you never know if an upgrade will make it less useful. Taking part in challenges or Tournaments is a great way to earn cards and silver gold to upgrade. The Grand Challenge can make you hundreds of cards and a lot of gold. Instantly allowing. The main thing for beginners is currently setting your deck up. There are 3 different decks you have on-hand, ready to fight with and can assemble. Every troop has a number of Elixir cost. Do not have all 2-3’s, and don’t have too many 5. You will quickly get outmatched, and they take longer, cost more and overrun. Variety and balance is key. Mix up with Elixir troops that are low and high, as well as both ground and air. Offering you a wide variety of alternatives at any moment. If that which costs too much you’ll have moments where there are no cards available shed, and to play. A couple cheap cards such as the Fire Spirits are a counter that is fantastic. I utilize the Ice Age in each and every deck. Do not forget to have a minumum of one or two”splash damage” cards. Spells, or even Archers. Utilize it, if you get a Legendary. Adding mixed air, as well as a variety of low and high level troops and floor becomes increasingly important as the game progresses too. Drop Minions or a Dragon to kill them In case the enemy gets ground troops. Then turn that. It’s all about time, and approach. This is only one of the finest yet most simple strategy games I’ve played on a device. Another idea is”bicycle decks”. Card is killed by all cards with one expensive. Then cycle fast as a card drops to get a defense that turns to a crime. Watch out for Fireball or Poison though. There is A group a target for the enemy. There are a number of different Skeleton troops, and everything but the Giant Skeleton are very weak, die quick, and therefore are susceptible to arrow attacks. That said, Skeletons are a fantastic distraction to deploy just before dropping a bigger”tank” troop to do heavy damage. Skeleton Army is a great card on, and lately its even better the further you progress. They’re deadly when coupled with all the Hog, and therefore are a fantastic defense. This might appear silly, as losing a match does not really hurt players apart from the trophy count, but test any new deck. Trophies put you in stadium or league, gives out chests and gold. So you’ll want to win as much as possible. Do not lose trophies. Fight with clan-members or clinic . I do challenges to practice new decks and plans. Yes it costs jewels, than shedding decorations on the ladder but I’d rather find out in there. Early on I was always first to attack, and my troops were getting countered with the enemy, and putting me from the start. It’s also a fantastic idea to not attack initially to maintain the Elixir advantage. This can win battles. Players should await the Elixir pub to get complete before attacking, and await the enemy to deploy to help select strategy and the best troop to begin if possible. This is referred to as a elixir trade. Dip a card kill a card. That puts you forward. It will build up to a push the enemy can’t stop and you’ll win. The exact same rule applies here, however a defense wins championships at the NFL, although this does work. Being able to have a solid defense permits players to fill up Elixir, and counter-attack. Turn a solid defense to a counter offensive attack that is powerful. Another idea is saving pick cards to the 1:00 minute markers surprise that the enemy to get a win. If you attack first, you have likely given away a secret kill card or strategy. I save the spell for the final few pushes to catch the enemy off guard. I’ve learned to begin with one or two light troops, regarding exactly what the enemy gets going large with a Giant, followed by a Musketeer or similar. My next move is going to be a powerful counter attack. Obviously everyone is going to have a different approach, strategy, and style. Rushing may work for some, but beginners are going to want to take their time and find out similar to a baseball match out maneuver the enemy. Rush your attacks if you’d like, As soon as you’ve learned which cards counter many others finest, and be ready for a response from the enemy. At the first stages of Clash Royale most players don’t have charms, but within a week or so of playing you’ll likely have the Freeze spell, and then in stadium 3-4 get the Rage spell. Everything wills as you expect, freeze. This is one of those cards I save to the finish and utilize with precision to get a last-minute surprise and success. The purple”Rage” spell raises rate, motion, and damage to mess your enemy. Dip a Giant or Skeleton Giant, wait a couple of seconds, and shed the Rage. He get to their foundation, and destroy it. Rage a Balloon and enjoy the results. Now that Rage is only 2 Elixir it isn’t nearly as risky as it was before. Pair that with a balloon and its game over if you are able to make it. And for all, I use it about that freeze bout. Perfect positioning (and after having a couple of seconds and being insecure ) paid off as possible above. I waited longer than I have to have to the enemy to drop a troop to take out my balloon, then dropped the freeze. Stopping the tower and Witch both at the same time, and giving my bin time to shoot an entire tower. Think ahead, be methodical, take some own time, and use spells as a surprise to your advantage. Spells such as the Lightning may also deal that last bit of damage down or at overtime to get a win. The idea here would be to”ditch decorations” and be put in a decrease stadium to be matched against easier opponents. Comparable to dropping a troop and stopping an attack in Clash of Clans. Some do for what they think so is an advantage, but don’t do it. Progress impedes, and does not teach you to beat actual enemies. Not to mention you’ll win rewards that are less in reduced Arenas. I keep seeing customers mention this on forums, that they’ve been dumping trophies in an effort to decrease where they battle to get a much better chance at winning. This doesn’t work. Have a chance at winning and reach Arena 2 and 3 as quick to upgrade troops. I attained level 10 in battle and Clash Royale in Legendary. The higher the stadium, the better the”Chests” if you win battles. One torso handed out enough that it could be upgraded three days by me gave me 101 cannon cards. It’s amazing on protection. That’s a huge upgrade and a lot of money only for fighting in a Arena. That boost will help battles are won by users, rather than just fighting enemies that are easier. At the end of the day don’t drop trophies just to struggle in a lower stadium, it is not worthwhile. Another idea would be to go to forums or YouTube to get ideas regarding the ideal deck. That can be both a pro and a con. On the plus side, consumers have some fantastic selection. That said, a number of different players have seen the very same decks in the forums or favorite videos, and know how to defeat them. Not to mention you and others as well as it might not perform . Another minute tip is to see TV Royale. It’s a list of replays from the greatest and skilled players in the world, or struggles that are just exciting. This will help beginners get an idea of what works, what does not, and how to be tactical rather than just stampeding forward. Watch other items and card positioning to get much better. You’ll observe. Nevertheless, it takes practice and therefore don’t be surprised if you get a deck and don’t win straight away. Practice makes perfect. Last but not least, Clash with Ash is a favorite YouTuber who makes videos for Supercell. He contains some helpful tips for beginners and more and offers a little of everything. Watch videos from GamingWithMolt or Nickatnyte to get troop ideas. The clash royale cheats are important open them as often as possible. Try to spend Gold when it needed, and on troops you’ll actually use. Then when you reach level 3 combine a clan as well as other players may donate cards. You will also make gold for donating, which subsequently can help you upgrade your cards quicker too. Continue getting better and better, and you’ll start winning. At the day’s end it is all about approach. Beating a level or two higher than you isn’t impossible. It does take practice, time, and skill. After dropping 4-5 at a row don’t get discouraged. You will be on a winning streak and have a bar of chests ready to be opened before you know it. Fantastic luck also enjoy, and getting cards that are mythical. Game ! It is odd, the way that sharks may inspire a primal fear in us that prompts paranoia, dread, and fascination with equivalent amounts. We are here with some Hungry Shark World hints and secrets and tips that can help you to stay alive longer in Hungry Shark World so that you are able to achieve scores so high, people are going to think you’ve cheated the game. At its heart, the Hungry Shark games are rather straightforward! You perform as a shark, and you need to stay eating in order to stay alive. At exactly the exact same time, you also need to keep moving, so dodging hazards under the water that may otherwise kill you. Your score moves up both as you eat and as you stay alive, so the title of the game isn’t just hunting down meals, but surfing the game’s treacherous environments as your shark continues to grow. Pictures aren’t the only thing that received a boost. 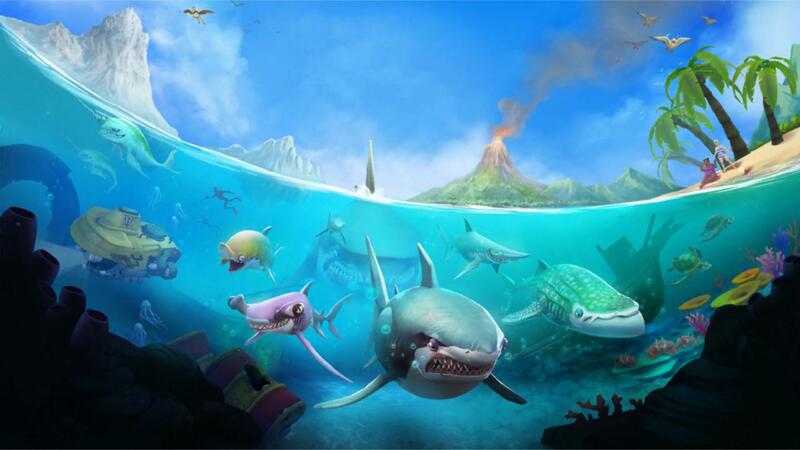 In Hungry Shark World, you can play as around 19 different sharks across 3 different worlds! For a free-to-play game on mobile program stores, that’s a hell of a great deal of replay value that can give you new experiences every moment. Appamatix covers mobile gaming all of the time, and we are eager to supply you with the hottest tips and secret tricks that can allow you to enhance your gameplay. We are going to do exactly the same to get Hungry Shark World. Rest assured that you don’t need to be an expert to implement these techniques the next time you pick up the game; these hints are intended for newbies and veterans alike, even in the event that you’ve never played a Hungry Shark game before. This may seem like a no-brainer, awarded the whole stage of this Hungry Shark games. But it may be tempting to slow down your eating, or distribute the amount of eating you are doing when edible things look plentiful on your display. Few things will kill your shark as quickly as skimping on food! If you are not always moving, hunting for food, looking for enemies, and darting around as you look for the next, highest score, then you are probably playing incorrect! If you would like to find a higher score, then build up that bonus bar, keep eating, and keep your life bar restricted! It may be remarkably simple to feel “safe” from Hungry Shark World, however there are always bombs and other dangers waiting to take you out. Do sharks enjoy shiny food, or what? The sharks of Hungry Shark World certainly do, and if you find any meals (even people!) That have been luminous, gobble them up right away. This will supply you with bonuses, multipliers, and progress on your own gold rush bar. If you’ve played Hungry Shark World for a few minutes, then you’ve probably noticed precisely what a Gold Rush can do for your own score. Explosively good, so consume that shiny food! It is going to be extra significant for when you would like to upgrade your sharks and earn access to fish, particularly in the event that you would like to play Hungry Shark World without spending a dime of your hard-won cash. Speaking of spending less, here is a lesson that you’re able to translate right to actual life: spend your rare commodities sensibly! How do you find jewels? The very first step, sadly, is fortune. But if you keep your eyes peeled for purple mist from the water, you are going to have the ability to identify where schools of gem fish may be hiding. Do remember, though, that these little jerks can be difficult to lose weight, therefore merely chase them with a complete (or nearly full) boost bar. Didn’t we tell you to never stop eating? Along with lots of the upgrades that the Hungry Shark games have observed through the years, so also has it taken on some of the most fruitful characteristics of other mobile games. One of those who you will see most frequently are”daily challenges,” which are completable in short amounts of time, and encourage you to pick up the game play daily. Of course, daily challenges in Hungry Shark World aren’t just a gimmick. They are a great way to stay on top of your upgrade monies, and they are among the only techniques to reliably unlock additional sharks (and upgrades for them) without eventually shelling out a number of your real-world money. Conveniently, these everyday challenges aren’t even particularly challenging! In Hungry Shark World, it becomes even more significant, particularly considering that you’re going to have the ability to eat different things based on how big shark that you are playing as. , which means that what makes a”good meal” for your shark will be set by the fish’s size. If you are playing as a black-tip reef shark, then attacking and eating a human will have a few moves, and certain other marine animals and objects are going to be downright hazardous. As it’s a small shark, though, it’s easier for those small meals to keep your shark wellbeing and increase high. If you are playing because the megalodon, then pretty much everything in the ocean is on the dinner menu. To balance out that, though, you are going to have to eat a hell of a lot longer to maintain your shark’s health bar higher, and it’s going to need more constant feeding to acquire boosts. It is the best way to determine which is your preferred to play as. Among my favorite things about mobile gambling is how completely old school it can seem. The HUNGRY letters from Hungry Shark World are deliciously old school; locating and eating those letters within the degree that you are traversing is only ever a good thing. If you do manage to hunt down all of the HUNGRY letters, then your shark will develop, and you will have the ability to eat everything. Sea mines? No problem. Submarines? Only chew harder. Of course, these aren’t always going to be simple to discover. You may check your map to see where the letters are concealing, but they’ll often be tucked off against obstacles and at hard-to-reach places. They add a degree of challenge for your own gameplay as you will need to keep ingesting (oftentimes strategically) to be able to get to the HUNGRY letters, however it’s the greatest benefit if you can manage it. When it is time to purchase upgrades, there are two paths you may choose: unlock more sharks, and unlock things for your sharks. Both of these carry benefits for your own gameplay, but investing too heavily in one may roadblock your gameplay later. There might come a point where you want a bigger shark in order to progress through a mission or challenge. As an alternative, you may find yourself in need of item bonuses that were skipped due to spending all of your coins and gems on sharks! I like to update and unlock things one after the otherback and forth. Your gameplay will be rewarded by doing exactly the exact same! Of course, once you’ve bought some upgrades for your sharks, then make sure you use them! They are designed to help you navigate environments in new and interesting ways, and that’s not just because the 3D world of the game is so pretty to look at. By way of example, you may use the jetpack to leap high out of the ocean, coasting across property areas and ingesting the people there. See? Everything that SyFy original movies taught you about flying snakes is true! Comedic appeal aside, the things all carry some kind of bonus for the gameplay, and even if they look silly, they are each worth your consideration! Hungry Shark World is a game designed to keep you always shifting, always busy, and endlessly searching for more powerups, more meals, and for ways to prevent the many hazards in each of the game’s areas. Get your fingers used to popping up your map of any level. It can allow you to navigate from catchy places with just a glance, and also show you where to find the HUNGRY letters! Among the means that free-to-play games manage to convince gamers to spend a whole ton of money would be to benefit from their frustration. Considering that the only reliable way to get purple gems would be to spend real-world currency (gem fish are too infrequent!) , then it only makes sense that they would gate certain things behind the use of purple gems. The most noteworthy is when you die. In case your shark runs from life, you will be given the option of either starting over or spending jewels in order to keep going! Unless you are among the best Hungry Shark World players around the planet, there’s not any reason to waste your money on buying extra lives for your shark. Embrace your loss, and begin in the beginning of the level with a clear head, and try to not make the very same mistakes that lead to your death! Next time you play Hungry Shark World, try out a number of cheats to hungry shark world, and see as they allow you to boost your gameplay! These”tricks” may lead to enormously higher scores, even more fun, less money spent, and a quicker route to unlocking all of the new sharks and things that the game has to offer you. The Hungry Shark set of games has been chomping its way through app stores for many years now, although Hungry Shark World lately published, many gamers are still hung upon the prior entry–Hungry Shark Evolution and are interested in the great hungry shark evolution hack ios, secret, or trick. Appamatix is here with a whole bunch of secrets, tips, and tricks (no real hacks, sorry friends) that will help you to whip through this video game and unlock all its features in no time in any respect. Ready to knuckle down and swim the seas? Then keep reading! It is no great surprise that most sharks make for good video game fodder, and the first name in the series–simply branded Hungry Shark–proved that once more. It is the exact same rule that’s kept sharks popular in movie theatres for years on end–they are mysterious, they are mortal, and because they are the masters of an environment that’s not our own, they are frightening! With Hungry Shark Evolution, we are given far more cartoonish models of the oceans top predators, but that doesn’t keep the video game from being just as fun. You will find far more sharks to unlock, more areas to float in, and much more things to purchase for the cadre of fish. In the event the Hungry Shark series is guilty of one thing, it is of shooting quite a while to alter the fundamental principles that created the first video game so successful, while still remaining true to the primary gameplay style. You’re still growing. You’re eating as far as possible so as to keep swimming. 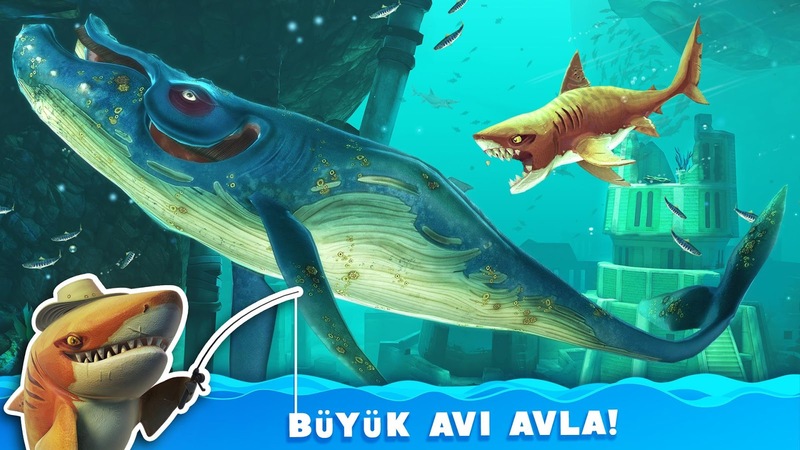 In Hungry Shark Evolution, but the video game has changed to make you want to play the several sharks that have been added to the video game. Missions are divided based on each specific shark, and you’re going to now occasionally face supervisors. Wonderful, right? “Evolution” remains a core principle of this specific video game, and it is the goal that you will be working towards since you stand up higher scores, collect more coins and jewels, and learn how to endure longer with each play session. You can monitor all your unlocked sharks’ evolution through the video game’s menus, which offers an exceptionally enhanced amount of video game to play . In all the time that you’re bound to spend playing, it is likely to be helpful to remember some basic, simple tips that can be used for the entirety of your own experience. The following tricks, secrets, and tips are meant to be used by beginners and Hungry Shark veterans alike, so the next time you boot up the app for a quick swim, then keep them in mind! It can be easy to become caught up in all that swimming and eating, but understanding where you are can keep you going and allow you to find mission objectives (more about this later) that far better! Turn it into a strong Hungry Shark habit. When monetization is what controls the benefit of a video game, it always tends to appear in the exact same manner –advancement is gated by collecting a certain money, which just so happens to be available for sale along with your hard-earned money from an in-app cash store. This is not necessarily a bad thing, however for those people without a great deal of disposable income, it means people need to work harder to keep track of the resources that become available just through playing the video game. As opposed to dumping all your resources into a specific shark or particular evolution path, it is instead smarter to distribute your coins and gems equally. Your progress through the video game (and pleasure you’ve got while enjoying it) only stand to gain! When starting up Hungry Shark Evolution, you will often be tempted into viewing trailers for different games in the promise of free stone. This is not a scam. Go for it! It is a few minutes from your daily life, and stone are a fairly rare commodity as it is. Just don’t become reliant on the income, because they’re not necessarily going to be accessible to you. Likewise you will receive bonus jewels for”liking” the Hungry Shark Evolution page on Facebook, as long as you don’t mind that specific bit of info showing up in your news feed, do this as well! Gold rushes are the best way to grab a massive number of points, so when you eventually figure out how to get one (the requirement changes per kind of shark), go wild! If there’s ever a time to play aggressively, explore, and use boosts, it is while you’re binging on tons of points out of a gold rush. The trick behind all this, though, is to be more careful while you’re going nuts. I know, correct? It sounds contradictory, but I can’t even count the amount of occasions that I’ve been cruising along, only having eyes for things my shark can eat, and I run smack into something that whittles down my entire life bar in seconds. Many free-to-play app shop games try to help keep you coming back by providing rewards for continued play. Obviously, they don’t want you to reap the benefits rewards all day long (you will have to pay for monetized things in program’s cash store , for that), however there’ll always be a set of daily challenge assignments for you to undertake that could lead to gems and coins. Provided that you are aware of how to finish them economically, they are never going to have a ton of time. In addition to this, the bonus gets bigger each sequential day that you finish them, beginning with 100 coins and construction around 400, before resetting. There aren’t many monies to keep tabs at Hungry Shark Evolution, but along with gems and coins you also have growth points. All these are the gate where you will gain access to other sharks in the video game, and the reason that you would like to stay alive for as long as you can in each and every play session. You begin the video game as an itty-bitty Reef Shark, also while you’re still capable of eating all types of things, the deeper sea will quickly show you that a bigger shark will be essential to tackle bigger objects. After earning 2000 growth points, you will then be permitted to spend 1500 coins to unlock the Mako Shark. The trend climbs and climbs until you closing achieve the pinnacle of shark evolution with the Megalodon. What is the easiest way to generate the dangerous seas feel a small bit safe? Purchase a baby shark to roam around with you, naturally! Like the primary shark species you’ll be able to play as in the video game, baby sharks come in all sorts of unique varieties that become more deadly in the exact same time they become more expensive. Purchase one of these little buggers, though, and you will quickly find yourself glad to get that extra set of chompers swimming along as your wingman. I never expected”boss fights” to be as incredibly fun since they are in Hungry Shark Evolution, but the programmers nevertheless managed to pull off it in the kind of Giant Enemy Crabs. These difficult creates hang out in the bottom of the sea and are actually fairly difficult to tackle, but you can do it with any sized shark. The tradeoff is you will have a better easier time with a more powerful shark. If you try to tackle it before obtaining a bigger fish, then there is a fantastic chance that you’re likely to have pincered to death in one swipe. Yowza. Once you’re feeling brave and strong, choose among the video game’s crab supervisors for appropriate rewards! You won’t have access to”Super Missions” until you have completed each the typical missions for any given shark, but as soon as you have them, they are a new pair of challenges to take on that will provide you additional rewards, thus allowing you another means to collect sources or maybe produce with hungry shark evolution hack pc. Depending on how big shark that you’re taking on the Super Missions for, then you may find out that you have already accomplished some of the assignments’ goals already. Tough luck, because you are going to have to do them again, under the banner of a Super Mission! King of Avalon: Dragon Warfare is a Plan MMO from FunPlus and Diandian Interactive. It has you raising a dragon whilst building an army in your quest to lift Excalibur and be the legitimate ruler of your land. As expected from this genre, there are plenty of timers and the requirement to work collectively with different players. 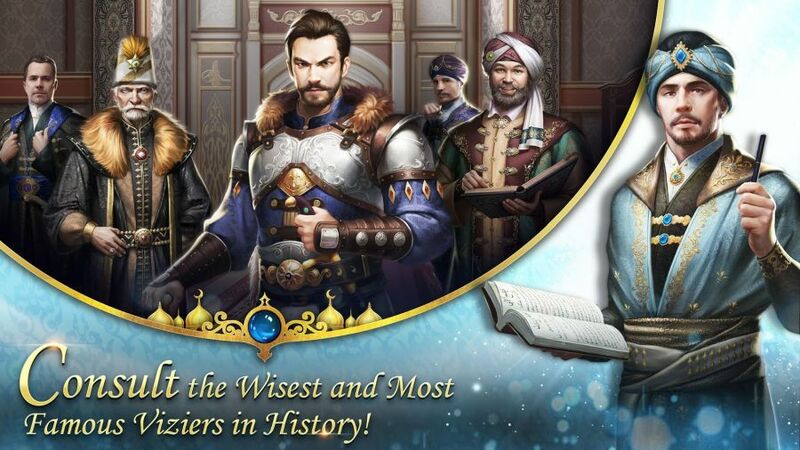 Become ruler a little faster so, King of Avalon: Dragon Warfare ideas — king of avalon hack plus Strategies is certainly available to guide you through the paces, ensuring you’ll be a powerful leader very quickly. Ok, you might know the drill by now with these strategy games but it’s really important to adhere to the assignments that King of Avalon: Dragon Warfare provides up to you early on. This way, you’ll develop a foundation that is more balanced than if you simply throw yourself decide to solely concentrate on attack or resource collecting. You’ll gain a great deal of bonuses through after the assignments but such items won’t immediately be redeemed. Instead, be certain you dive into the items menu and then redeem them manually. Otherwise, you won’t reap the advantages. Also, log in daily to get a few easy bonuses as a form of log in reward. Updating your Stronghold enables you to upgrade different structures, and unlock new kinds. Wherever possible, concentrate on updating your Stronghold otherwise it’ll be a bottleneck to unlocking additional useful structures. Every now and then, you’ll strike a cap and have to upgrade different buildings to then have the ability to enhance your Stronghold. Keep a watch on what’s expected of you each step of the way. Resources are key to letting you upgrade anything. Maximize their potential as you’re logged then be ready to check back later on when they have restocked. Tap on all of your farms and sawmills to retrieve the applicable resources. Also, don’t neglect to check your items for a few freebies. You start out with a protective shield meaning nobody can attack you as you start out. Take advantage of this and build up your base and resources as you’re safe. Use that time to build your defenses. You do not need this to be straight forward. Concentrate on developing a defensive layout that makes it tricky for the enemies to get right at your stronghold. Keep the important things well protected at all times. When the protective shield drops — move out and strike some gamers. Target stronger opponents in a bid to stock up on resources. Maybe drop in on some weaker competitions but your rewards will be lesser so it’s not completely worth the effort unless you’re desperate. King of Avalon: Dragon Warfare will encourage you to join an Alliance for good reason. You’ll earn some fast bonuses plus it’s a terrific way to work collectively so as to participate in bigger raids than you can manage on your own. Pick carefully but have fun. At some point, you’ll have the opportunity to use dragons. Honest. Pick wisely and goal it on your play style. In the end, achievement is down to how well you raid. Game of Sultans, however, puts you in the shoes of Sultan of the mighty Ottoman Empire, one of the very last Empires that existed from today’s world, reaching even all of the way into the 20th century. In Game of Sultans, you are going to be managing the empire from the early days and well in the summit of its potency. Will you be the Sultan all your people will remember for centuries after your departure, or will your predominate be quickly forgotten in the tumultuous tides of history? It is up you to ensure the prior as you navigate through every component of being a Sultan including war attempts, Vizier management, resource attainment, romancing the ideal consorts and receiving powerful heirs and allying yourself with all the neighboring rulers. It can be a fairly daunting task, particularly if you’re not used to games in this fashion. This is why we’ve prepared a thorough manual of game of sultans game cheats and tricks you could use to increase your performance as portion of the Ottoman Empire. Read on! This seems logical and intuitive, but it is paramount to be successful in Game of Sultans. The longer spent in the video game and the more you click, the more you can get out of it. This usually means completing your quests as soon as they come up, effectively winning your campaign battles, getting all of the tiny bonuses you can in your Imperial Palace, like those the fortune teller provides you and making great on each little offer the video game provides, so as to get that edge. Every other tip in this guide can be considered a corollary of this one, so bear this in mind. Leveling up provides you with an assortment of new skills, including unlocking a few of the facilities in the palace like the Masquerade, where you get to satisfy your potential love interests, or the Arena, where your useful Viziers help you in PvP battle. As this is a military expansion video game, your amount of soldiers could very possibly be one of the most important things deciding your success, and that means you’re going to need to maintain this number as high as possible. Leveling up can be done in a few ways, including completing campaign battles, using the XP boosts in your inventory, which you receive at certain periods, in addition to choosing the”No” choice from the Imperial Affairs. These events usually entail a nice bonus of Wealth, Grain or Soldiers as a single alternative, or a few XP points as the other. Being a self-sufficient Sultan and declining the excess resources raises your XP, so select this alternative if the excess resource isn’t desperately needed at the moment. This can be more useful in the long run and cause more funds than if you only take the excess. A suggestion that’s based on Tip #0, which is to return to the Imperial Parliament to check with Ahmelek and Hocas. The former retains your Levies in check, so you’re going to want to go for him to acquire your resources as quickly as they stack up (once you level up to Grand Sultan I you will get the choice to auto-levy, but before then you will want to keep clicking). The latter retains your Imperial Affairs we talked about in check, and new questions and issues grow up regularly, so you are going to need those bonuses as quickly as they come up. A good Sultan is in continuous contact with his Viziers, which brings us to another suggestion. A good Sultan is desirable and strong, so he’ll have many wives in his Harem, and these wives will give birth to many powerful heirs to solidify the empire together with strategic unions. You receive one Consort early on, but as you continue playing you will unlock many more of them, whether from the Masquerade or from purchases. Aside from impacting your Viziers, the main role of Consorts is to help boost your empire’s stats by providing you with heirs. Not all Heirs are created equal, however, as far as you love them all for being your children, some are just rarer and much better than the others. The rarity, and therefore stats, of an heir depend on your intimacy level with the consort birthing them, so you will want consorts leveled up to give you the highest chance of receiving the very best Heir possible. In contrast to the advice on Viziers, you are going to want to distribute the expertise level on most of Consorts, since you only get random visits to the Harem, and you can’t which Consort will acquiesce to your wishes. Unless, of course, you cover diamonds to select which Consort you meet, but that is not sustainable in the long run if you don’t like spending money needlessly. Consorts have a Charm stat influencing her XP, which in turn influences the Vizier she’s associated with. As mentioned in the section on Viziers, you will want to maintain your most relevant Consorts full of XP in order to give the greatest bonuses for your generals. Heirs, on the other hand, are useful for boosting your kingdom’s stats and, when they reach maturity, solidifying your relations with other kings by union. This matrimony is in fact to an Heir of a different real participant, and not an AI, so you’re interacting with other mighty Sultans. Finding the right match for your Heir can be challenging and costly, but in the long term, it will be well worth it. The longer you play, the greater the probability you will come across the Grounds or the Siege available. Or you can just memorize or write down when they are available, and log at the time to make use of these options. Here you are able to win a few extra goodies and things for you, your viziers, heirs, and consorts. Overall, to be a much better participant of Game of Sultans that you need to know as much as you can. Reading guides like this and always playing the video game is a superb beginning, and even though the video game has a very steep learning curve having more information to take in, once you have the ball rolling you will quickly be able to start adeptly managing your empire.